Baby Beats! 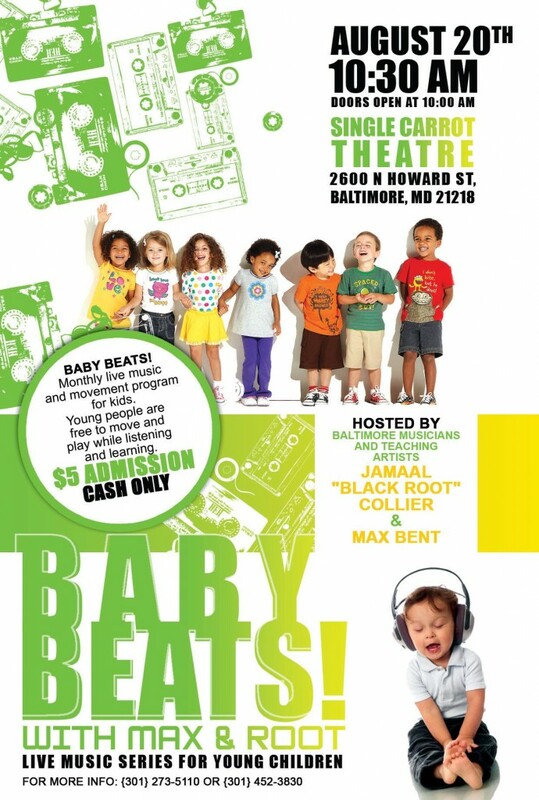 is a monthly music series for families with young children hosted by me and my beatbox brother and amazing emcee Jamaal Black Root Collier. Our July premier concert saw a capacity crowd fill the Single Carrot Theatre gallery space and so it appears we will now take the show to their larger theatre! We keep the floor open for kids to move, play and interact with other kids, adults and the musicians. Baby Beats! 2 goes down on August 20th, at 10:30 am. See the flyer below, and come play with us!